The “no-splurge” attitude of consumers has continued despite a rise in UK shopper numbers last month, a survey has suggested. 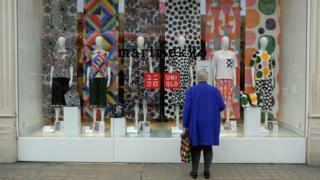 The number of shoppers visiting stores in March was up 1.4% year-on-year, according to the British Retail Consortium and Springboard survey. “We continue to be in the midst of a no-splurge culture,” said Springboard. Diane Wehrle, insights director at Springboard, said shoppers remained focused on “prudence”.